These seeds are carefully spaced inbiodegradeablepaper to allow even spacing and virtually eliminate the need for thinning. Carrot Manchester Table is a prolific cropper even in heavy soils and will produce long, smooth skinned carrots. Sweet tasting with a fineflavour. We hope you enjoy these carrot seeds, just another great example of vegetable seeds from MrFothergill’s! Seed Tapes and Mats are so easy, only Three Easy Steps. 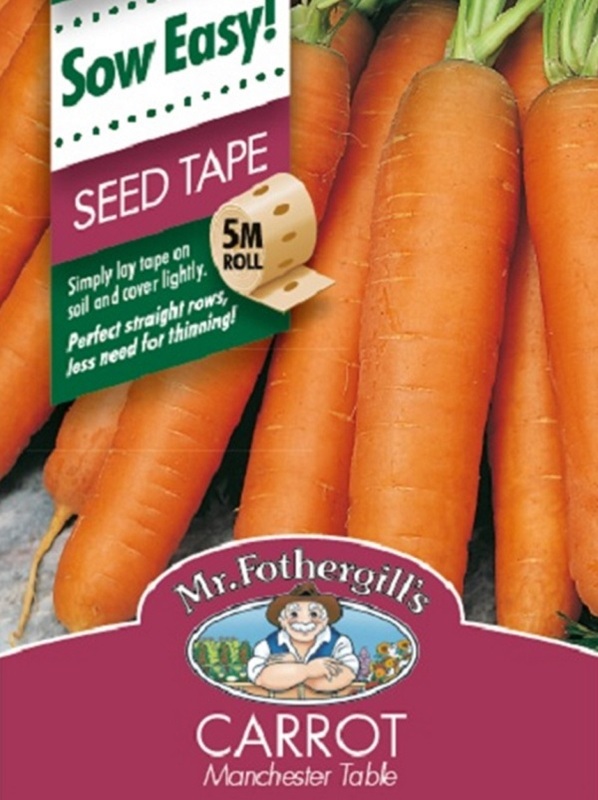 Sow seed tape sections at two weekly intervals for a continuous supply. Your first harvest will be ready around 10 weeks from sowing. Separate the strips and roll out onto prepared rows which are 5mm deep and 30cm apart. Cover with soil and keep moist.